I don’t mind baking for a party I am hosting or attending as long as it is from a box. Don’t get me wrong, I would do it from scratch but I just don’t have that kind of time and I would probably mess it up somehow. That is why I stick with boxed goodies. While my kiddos (and family members) love my cakes and brownies, I like to keep things interesting. I like to try baking new goodies for them to enjoy, things they haven’t yet tried or something I just know they’ll love. 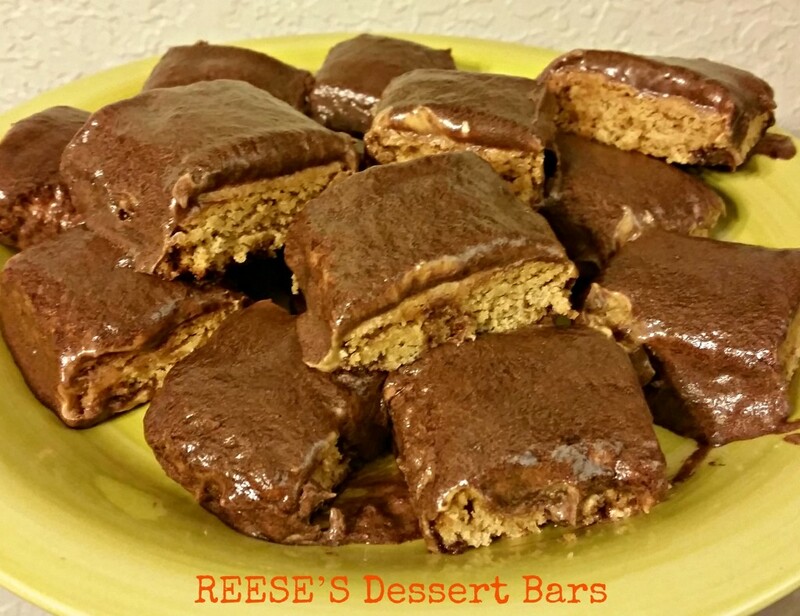 That’s why I loved being able to review HERSHEY’S S’mores Dessert Bars & REESE’S Dessert Bars. 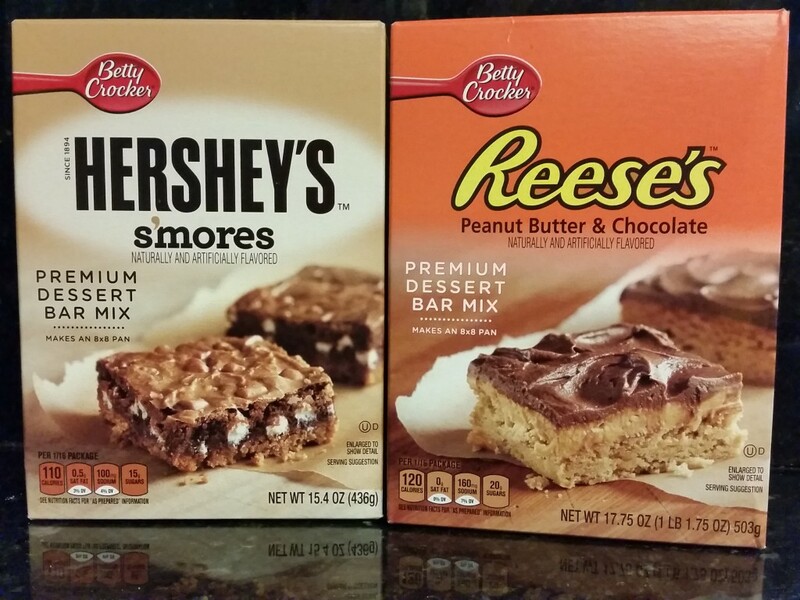 Did you know that Betty Crocker and Hershey teamed up once again and they are now offering three new desserts (2 of which I mentioned above) that are sure to get your sweet tooth’s attention???? I actually made these for my pre birthday celebration (the more people that get to enjoy it, the better. Plus, this way my husband won’t be tempted to eat most of it by himself. 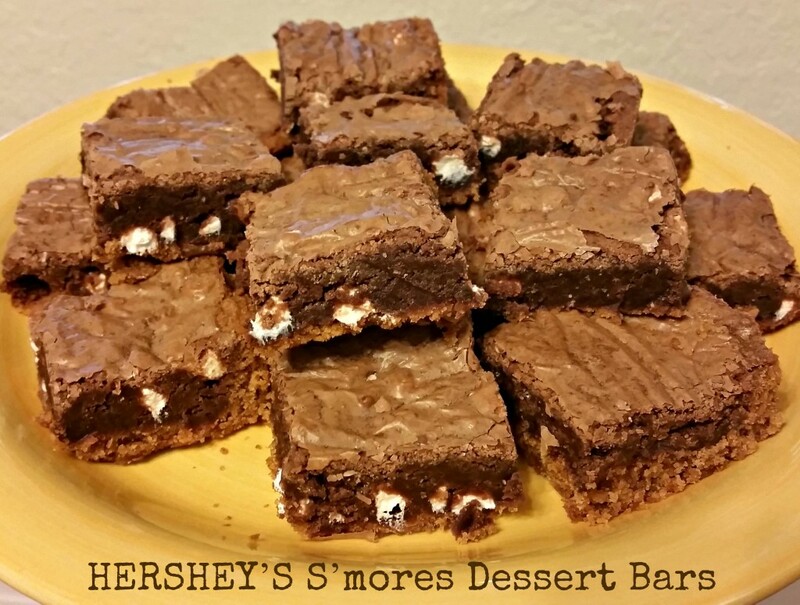 If you like s’mores, you’re going to love these. Thankfully they were easy to make. These were a little more tedious to make (because it involves 3 different mixes and multiple steps in the process) and mine did not come out looking like the picture on the box. However, they were still good and did taste like REESE’S Pieces. 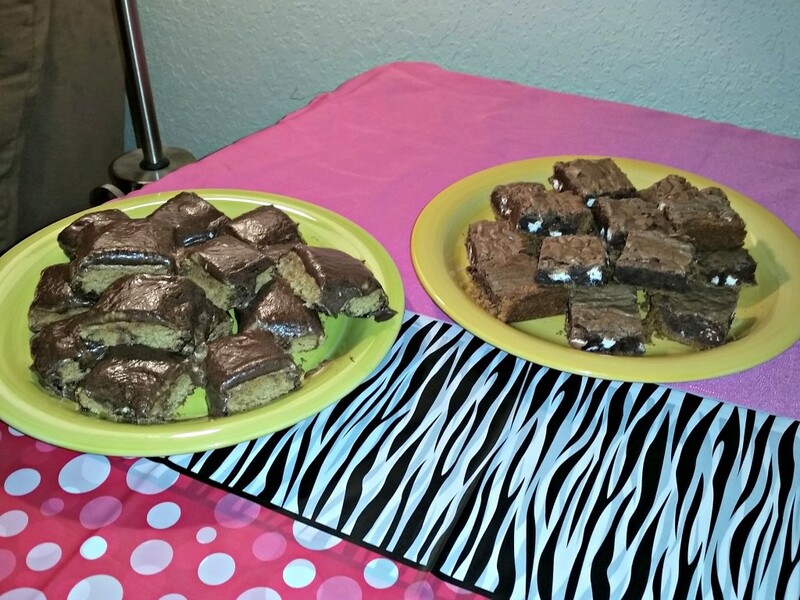 I would say that both desserts were a hit at the party! So, if you’re looking for a decadent dessert without going crazy in the process, be on the lookout for Betty Crocker Hershey Desserts (which are now available at Target). Which if these 2 desserts do you want to try first?